258/365(+1), a photo by Luca Rossini on Flickr. 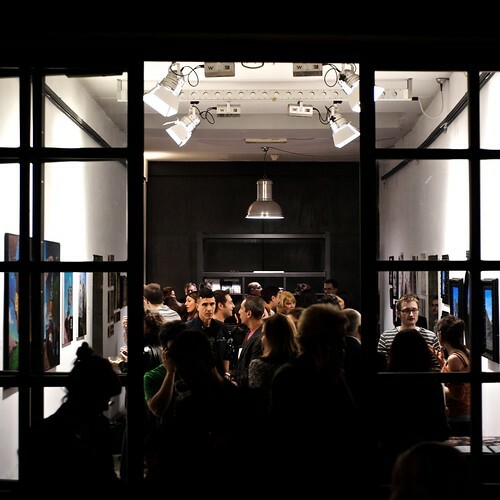 There’s a new art gallery in Rome, it’s called Officina 468 and is located in the vibrant neighborhood San Lorenzo. 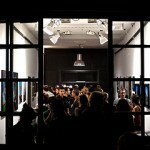 Sofia Francesca Miccichè, the artistic director of the gallery, opened the place to the public with the exhibition “Surreality Show”. A lot of neo-surrealism works, quite pop, very colorful, sometimes more dreamy, others more disturbing, always intense, from five different artists: Elio Varuna, Cristiano Carotti, Jonathan Pannacciò, El Gato Chimney, and Alessandro Calizza. It’s definetly worth checking out. You can also get all the possible information from the facebook page dedicated to the event. The exhibition made me think a lot about my relationship with surrealism, metaphysics, and photography. Where is my work collocated? I love surrealism, my connection with art started when I was seven and with my parents I visited Barcelona (Gaudì) and Figueres (Dalì). However, I’m currently more into metaphysical-surrealism, more than to the symbols, I’m interested to the detachment and suspension of reality that art can convey. Every photograph, in particular, suspends a cut of reality, not only making it still in space and time, but also, literally, suspending all the physical and societal rules that make Reality what we are used to. It is innerly metaphysical and potentially psychedelic. In most of my shots, I try to capture cuts of space and time in which this feeling of suspension suddenly hits the subjects. Every second of human life is, in fact, equally suspended in an unstable equilibrium between profound transformation (unexpected news, a dreadful event, a sudden faint) and psychedelia (hallucination, paranoia, craziness). Things stay still until they collapse. Photographs stay sill forever, so they live forever on the verge of collapse.